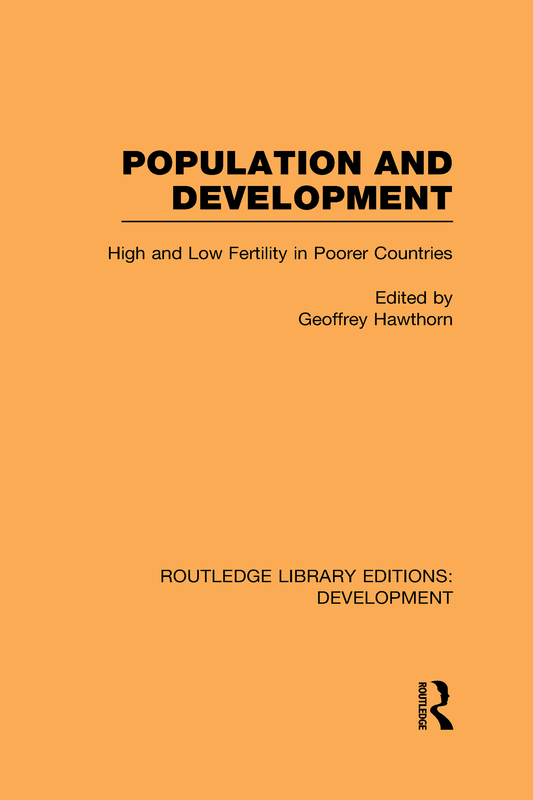 First published in 1978, this book explores the vital global issue of high and low fertility in poorer countries through a series of case studies by contemporary experts in the fields of development and demography. These studies examine such issues as: the relations between fertility rates and income distributions in poor societies; the question of whether or not neo-classical macro-economics are sufficient to understand and to try to engineer relations between economies and populations; and the specifics of the relations between fertility and a variety of socio-economic factors in both South Asia and West Africa. The point of the collection is to explain how very far general models can be taken, and to suggest that they cannot be taken as far as those who have tended to ignore the structural complexities of, and differences between, various societies have implied.